On my most recent visit to Cuba, one of the things that I learned is that the Cuban government fears the internet. The internet in Cuba is among the most tightly controlled in the world. It is characterized by a low number of connections, limited bandwidth, censorship and high cost. We in the U.S. take for granted our high-speed internet access, being able to say whatever we want whenever we want and having access to mobile telephones 24/7. When you travel internationally, you somewhat expect internet access to be limited, expensive or possibly even unavailable depending on how remote your location. When we first arrived in Cuba, we stayed at the Hotel Playa Cayo Santa Maria, a gorgeous resort on the Caribbean where the food can only be described as ranging from disgusting to practically inedible. I later learned that not only is this resort owned by the government, it is owned by the military. Here, you could access the internet for the equivalent of about $4.95 for two hours, but the only guests allowed are international visitors. In Havana, we stayed at the Hotel Melia Cohiba, where the food was good but internet access spotty at best. For $14 for two hours, you would expect a high speed and dependable connection, but I went back to the communications desk several times to ask for a refund when the internet would not work at all. Later, one of our tour guides explained that the thing that the Cuban government fears the most about normalization of relations with the United States is the internet. 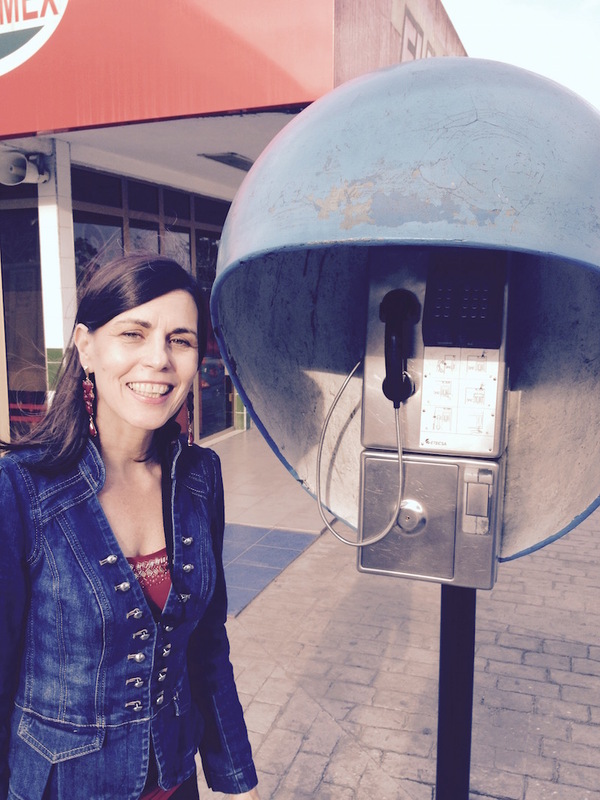 Cell phones are definitely available, but at the same time you frequently see old time outdoor phone booths like the one I am standing next to in this photograph. According to Wikipedia, as of 2012, Cuba had an internet penetration rate of 25.6 percent. Reporters without borders have listed the country as an “Internet Enemy” since 2006. All material intended for publication on the internet must first be approved by the National Registry of Serial Publications. The internet freedom watchdog Freedom House estimates that only 5 percent of Cubans have full access to the open internet. Given that the average salary in Cuba today is $20 a month, even if a Cuban citizen were allowed into an international hotel, most likely they would not be able to afford the prohibitive cost of the spotty, faulty connection. Meanwhile, when we drove by the home of Fidel Castro, there were signs everywhere indicating that you are not allowed to take photograph anywhere along the street. Our guides explained that if you want to talk about Fidel safely as a Cuban citizen, you have to refer to him as “my uncle” or make a non-verbal gesture as if you were stroking your beard. U.S. diplomatic cables published by Wikileaks in December 2010 revealed that US diplomats believed that the Cuban government is more afraid of bloggers than of “traditional” dissidents. Meanwhile, even if you could afford the high cost of internet connection, you would need either a cell phone or computer to read the internet. Cuba’s National Statistics Office reported in 2011 that there were only 783,000 computers in the whole country. I returned home feeling especially thankful for my Apple MacBook Air laptop, my AT&T high speed connection and my unfettered creativity.